I wouldn’t sell ‘It’s To Die For Banana Bread’ anywhere. Vendors of my socially conscious, eco-friendly baked good must share the belief that companies with good, honest, green business policies will make our communities better places. Hence, a relationship with Ethical Bean Coffee was born. I couldn’t be happier to announce that ‘It’s To Die For Banana Bread’ is now sold at Ethical Bean Coffee’s Roastery Cafe window, located at 1315 Kootenay Street (next to Bosa Foods on the Vancouver/Burnaby border). 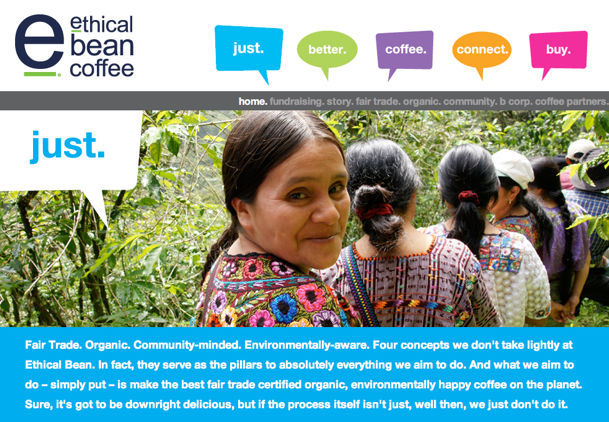 This moral, Vancouver-based coffee company that I’m proud to connect with is focused on four concepts: fair trade, organic, community-minded, and environmentally-aware. Read more about their standout philosophies here. Have something to say to the bread? Tweet at it: @itstodie4 or write on its Facebook wall.